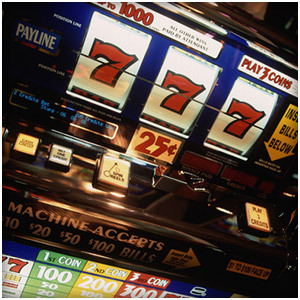 Everyone can agree on who invented the slot machine, but there is some dispute over when this took place. Charles Fey is believed to have perfected his invention in either 1887 or 1895, although today’s slots have little in common with the original machines that were actually based on cards. However, Fey did not start his life wanting to invent a slot machine. The inventor was actually born in Bavaria in a family with 15 older siblings. At fourteen, he began to work to help out his family, but he also began to fear being drafted into the German army. That, along with growing tension between him and his father, led to Fey going to France to work as an instrument maker. Charles’ uncle had made it to New Jersey in America and so, at the age of 23, Fey decided to join his uncle. Before traveling to New Jersey, though, he went to San Francisco, where he found employment at Electric Works. He and a co-worker then started a company that competed with their employer and it was while working in his own business that he invented the slot machine. Fey’s machine had three reels and his symbols were the familiar diamonds, hearts, and spades, with the added horseshoes and a Liberty Bell. His iconic machine actually took its name from this symbol. 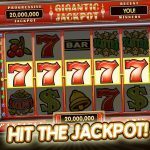 It wasn’t too difficult to read a win on the early slot machine, and lining up three Liberty Bells offered players the highest payout. 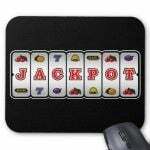 The fact that the machine had an automatic payout was novel and soon made it a hot commodity. In fact, Liberty Bell was so well received that many copycat machines soon began to appear. One-armed bandits became the pet name for the slot machines, but that didn’t slow down the players or their popularity. It mattered little that California, where Fey eventually made his home, outlawed the slot machine a few years after its creation, because he could hardly keep up with the demand in other states. Laws in place at the time also prevented Fey from getting a patent on his invention, which is why he rented them out to pubs, barbershops, bowling alleys, saloons, cigar stores, and many other places before government controls came into existence. Over time players began cheating the machine by using fake coins (wooden nickels), so Fey countered by inventing the first detecting pin, which could differentiate between fake and real coins. 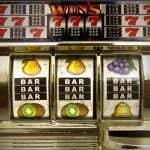 In 1896, Fey opened the Slot Machine Factory, and the rest is gambling history. His partner was given the electric franchise, but he too began to make slot machines when they became popular. Fey went on to marry a native Californian and they had three daughters and a son (Edmund). Edmund had three sons, two of which moved to Reno in 1958 and opened the Liberty Bell Saloon, which closed in 1995. The bar displayed many of the old slot machines, which of course included their grandfather’s Liberty Bell slot. The original Liberty Bell is not in play anymore but can be viewed in a Reno museum. Fey retired at the age of 82, and died 10 months later of pneumonia. When he died Fey had made a huge impact on the gambling industry, but he probably never imagined just how much gambling history his invention would go on to make.